Annual commemoration of the anniversary of the nuclear attacks on Hiroshima and Nagasaki. Organized by Peace Action Wisconsin, at Peck Pavilion, 929 N. Water Street, Milwaukee. Floating of lanterns on the Milwaukee River at dusk. 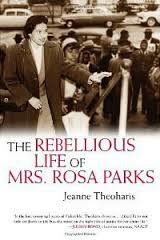 fea­tur­ing Jeanne Theo­haris, author of The Rebel­lious Life of Mrs. Rosa Parks. 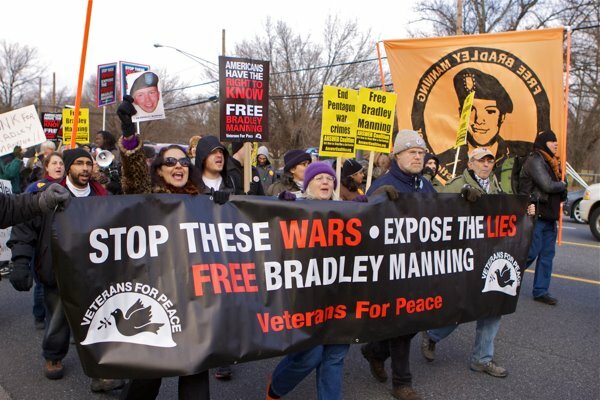 PPA Statement: Free Marissa Alexander & CeCe McDonald, Justice 4 Trayvon Martin! 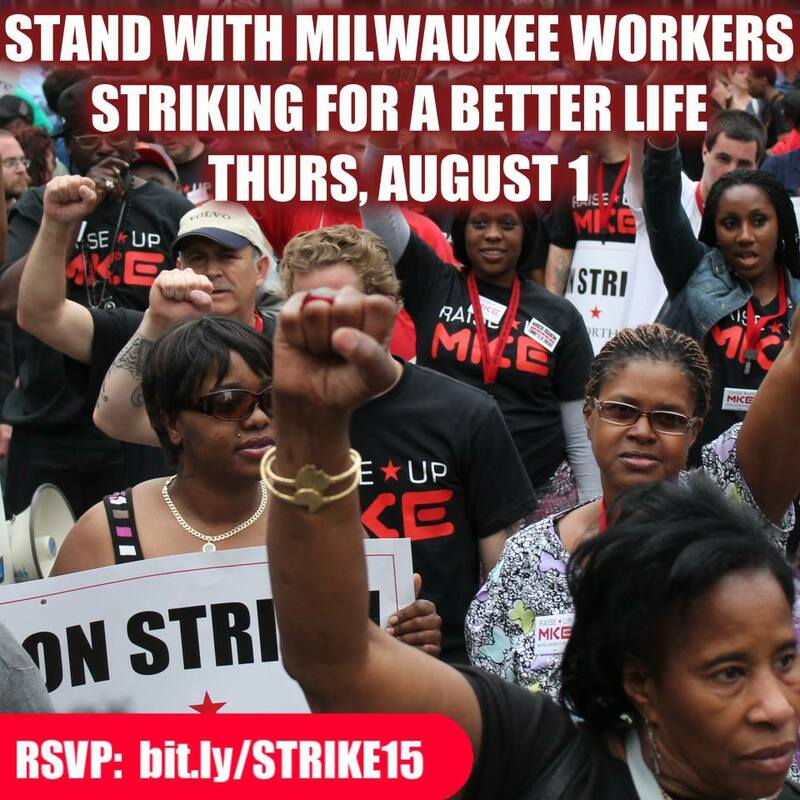 Milwaukee, August 1: Low-Wage Workers to Strike, Join Them! Thousands of low-wage fast food and retail workers from across America are going on strike this week. Join us tomorrow as Milwaukee hits the streets. Stores from New York to Kansas City were affected as workers continue to fight for higher wages and the right to form a union without interference. Let’s make Milwaukee the worker capitol it’s always been! We know that whenever the community joins workers in the fight for justice – we win. Show your support tomorrow, because we can’t do it without you. 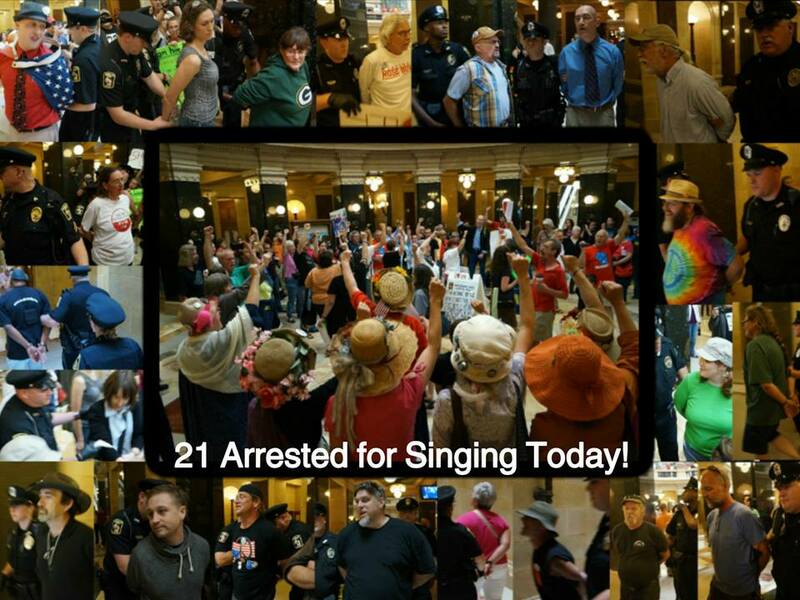 ….Also Tuesday, retired pastorCarter Dary collapsed on the rotunda floor during the singalong and was taken away by paramedics. Dary was not arrested Tuesday, but on Friday he was arrested and then taken to the hospital for angina, a chest pain caused when the heart doesn’t get enough oxygen. In an interview Monday, Dary said Friday’s arrest was the first in his life. After he was arrested, he said he felt woozy and believed he was having a heart attack. Officers provided him a nitroglycerin pill he had with him, but did not take off his handcuffs, upsetting others who were arrested alongside him, said Dary and a man who witnessed the incident. On Monday, Dary, 67, said he was committed to returning to the Capitol for the singalong. 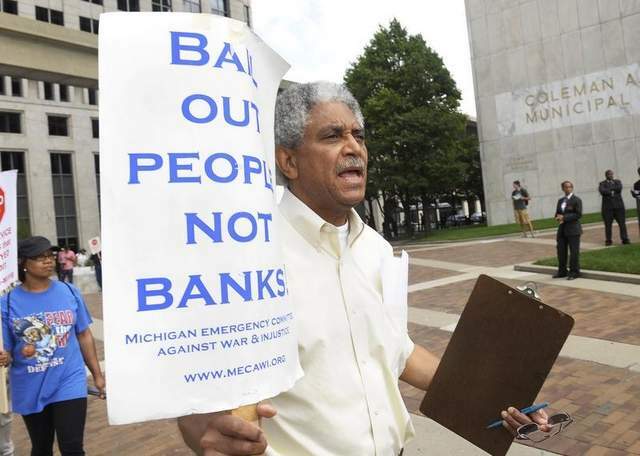 Detroit, August 2: Demonstrate Outside Bankruptcy Court, Cancel The Bank Debt NOW!